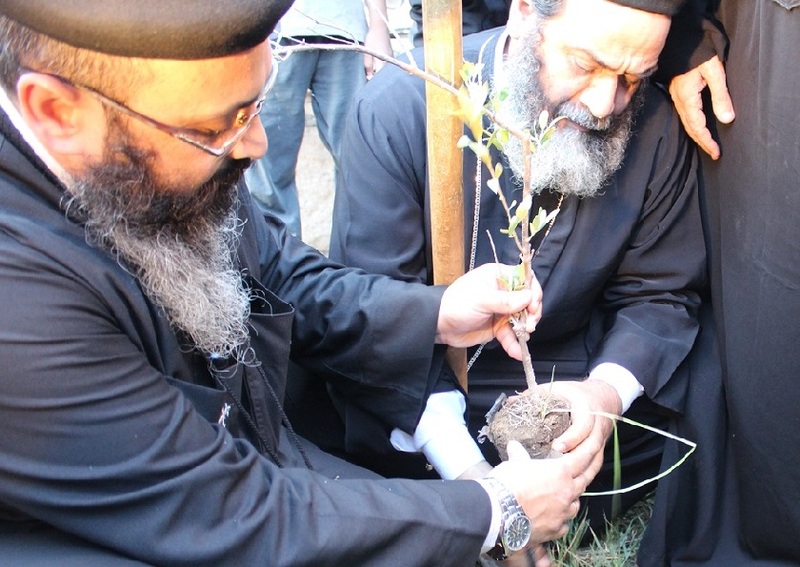 If the Islamic State is uprooting civilization, one response is to plant a tree. At Palmyra in Syria, religious fanatics took an axe to the witness of generations past. At Ismailia in Egypt, religious leaders take a shovel to secure a witness for generations future. 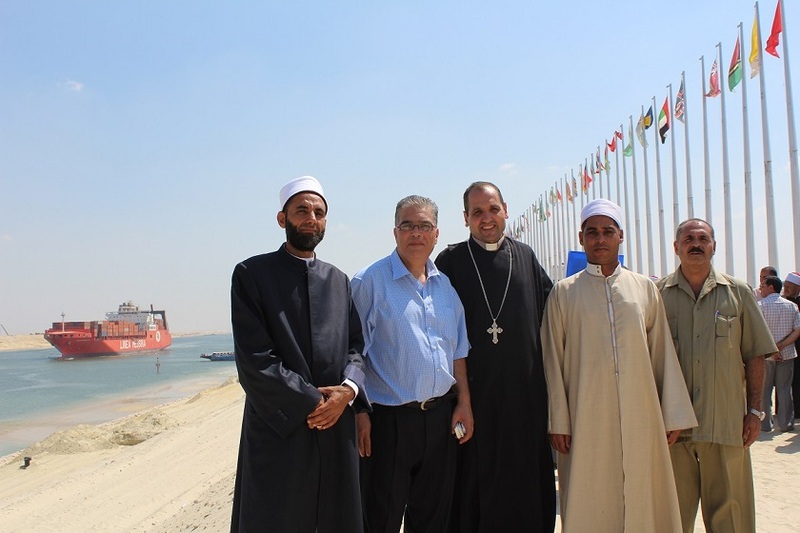 And by the banks of the Suez Canal, Egypt’s recently expanded national project, imams and priests both learn and demonstrate a lesson that transcends religion. Wassef is the coordinator of the ‘Imam-Priest Exchange’, a three year project run by the Egyptian Family House. Each year 35 pairs of Muslim and Christian leaders are brought together in friendship, trained to cooperate in practical expressions of national unity. The ‘Exchange’ is supported strongly by Bishop Mouneer of the Anglican Church. Supervised by the head of the Islamic Research Council, Sheikh Muhi al-Din al-Afifi, and a leading figure in the Orthodox Church, Fr. Butros Bastorous, it urges participants to dialogue. The Family House was created in partnership by the Azhar and Egypt’s Christian denominations shortly after the 2011 revolution, in an effort to preserve good religious relations. Despite much trauma locally, as the whole region exploded in religious violence, Egypt stayed relatively stable. Last month, to great celebration, Egypt opened a new waterway in the Suez Canal to permit two-way traffic, decreasing travel time and potentially doubling revenue. Funded entirely by the local investments of businessmen and farmers, Muslims and Christians, it was a moment of pride after four trying years. On 1 September the Imam-Priest Exchange followed behind to consecrate the effort. At the oldest church in Ismailia the imams planted three olive trees. Then at the Young Men’s Muslim Association, priests did the same. In a previous generation under then-President Mubarak, Egypt would often make a great show of national unity. Religious leaders would come together at major events and exchange what became locally known as ‘hugs and kisses’. But many felt they were only patching over religious tensions. ‘Hugs and kisses’ would often follow an episode of violence. So the Family House mandate is to diffuse tension and preempt violence in practical projects of great symbolism. Branches have been created in Alexandria, Asyut, and other major cities throughout the country. One of the most active is in Ismailia. ‘The Grand Imam of al-Azhar [Ahmed al-Tayyib] wants us to move from closed meetings out to the streets and the people, walking among them,’ said Sheikh Abdel Rahman Mahmoud, a leading figure in the local branch. Hundreds attended their public lecture. Dozens came up to them on the street, took pictures, and asked how they could participate. Mahmoud and Fr. Surial Aziz coordinate with other imams and priests to visit up to four local schools a week, demonstrating religious unity. They are even working to open sub-branches in two of Ismailia’s larger neighborhoods. Ismailia is a success story of the Family House vision, but for Wassef in the Imam-Priest Exchange, the visit is only one step of the process. The next day he took them to a drug rehabilitation center. A patient gives his testimony of recovery. The director lectured on the spiritual role in healing. Wassef wants each participant to return home, find his religious opposite, and together meet the needs of their shared community. And the Suez Canal is a reminder. ‘If imams and priests visit our national projects it will inspire their role in society as religious leaders in promoting citizenship,’ Wassef said. 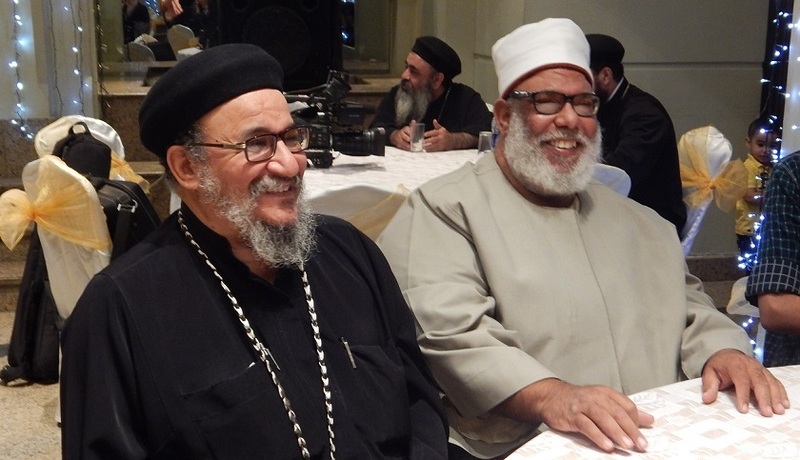 If religious unity holds in Egypt as Iraq and Syria burn, they just might.